Seacoast United Victory is an elite soccer club based on the North Shore of Massachusetts. 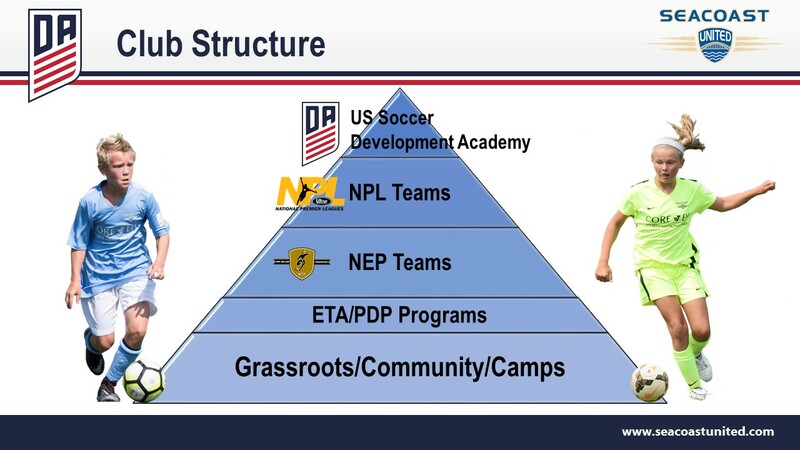 Seacoast United Victory recognizes the demand for an organized Academy where players are valued and parents are partners, and it consistently attracts ambitious players who have a passion for the game and a desire to be coached by qualified professionals. Its teams compete in the NEP league. Seacoast United Victory offers a structured, age appropriate curriculum that can only be found at the Top Youth Academies around the world. Ingrained in the curriculum is a well-defined Development program run by professional, dedicated coaches. With Victory, players realize their potential and are recognized for their commitment.